Think back on your summers as a child. Were your childhood summers filled with long car rides? Trips to the beach, summer camp, or maybe family vacations that included museum visits? Were you always reading something, or learning something along the way? Now, imagine summer without any of those things. Sounds boring, right? Unfortunately, it is a reality for far too many children. Many families simply cannot afford summer camps and vacations, much less those that include museum visits that keep children’s brains engaged and teach them new things about the world around them. More starkly, those same families often cannot afford to buy books, and may have trouble accessing the library because of geography, transportation, work schedules, or other factors. By middle school, the children from these families may be three grade-levels behind their peers. That gap, left unaddressed, is nearly insurmountable, and negatively affects their chances of graduating high school. Economist James Heckman, of the University of Chicago, has documented the multiple negative effects that children suffer due to a simple lack of investment in early childhood education. These negative impacts are borne by society at large in the form of high unemployment and high incarceration rates. On the positive side of things, children who have access to early educational supports are more ready to learn when they reach middle and high school. They are more likely to earn a high school diploma, more likely to be employed and less likely to end up in jail. In short, small investments early in a child’s schooling can reap rewards that “more than pay for themselves in better education, health and economic outcomes.” These outcomes have larger effects on the well being of our society – for you, your family, and your neighbors. 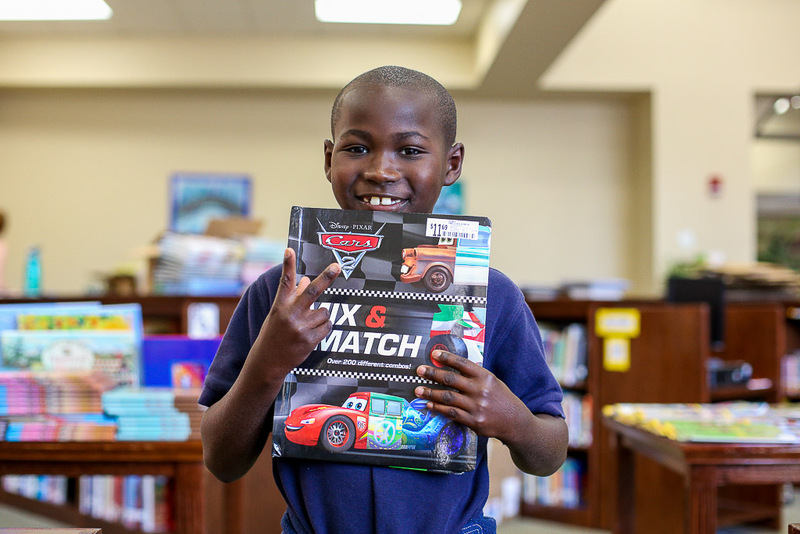 Books for Keeps is proven to boost students’ access to books and their reading skills, even when they are away from school – and despite other factors that might get in the way. We’re making a difference among some of Georgia’s most vulnerable children. Click here to visit our Program Evaluation page and explore our graphic report outlining Books for Keeps’ evaluation results, completed in 2017, demonstrating the program’s effectiveness increasing students’ reading comprehension levels during summer. Join us in this effort to help at-risk children. It’s as simple as giving them books.